Though primarily known for our work with approx. 10,000 graduate students at UBC, the Faculty of Graduate & Postdoctoral Studies also supports over 850 postdoctoral fellows. UBC-appointed postdoctoral fellows can be found in over 90 departments and at affiliated sites including BC Cancer Agency, BC Centre for Disease Control, BC Children’s and Women’s Hospital, the BC Children’s Hospital Research Institute, St. Paul’s Hospital, and Vancouver General Hospital. Professional growth and development of postdoctoral fellows at UBC falls under the Postdoctoral Fellows Office (PDFO). The PDFO team is currently comprised of Dr. Rachel Fernandez (Associate Dean, Postdoctoral Fellows Office and Student Professional Development), Hourik Khanlian (Manager, Human Resources and Postdoctoral Affairs), and Sarah Henderson (Human Resources and Postdoctoral Affairs Assistant). This team works to ensure that all postdocs have an exceptional experience at UBC as they transition to fulfilling careers at UBC and beyond. The PDFO team: Sarah Henderson, Dr. Rachel Fernandez, and Hourik Khanlian. Photo credit Dr. Efe Peker. The PDFO was founded within the Faculty of Graduate Studies in 2010 to acknowledge the key role played by postdoctoral fellows in achieving the goal of increasing the quality and excellence of UBC’s research. The PDFO provides support and advocacy for all UBC postdocs. In its early years, the PDFO worked to update University Policy #61, Postdoctoral Fellows, in order to better reflect the changing landscape of the postdoctoral environment at UBC, and introduced a series of professional development workshops on subjects ranging from communication and grant writing to an Orientation for new postdoctoral fellows. In 2013, the Faculty of Graduate Studies underwent a name change to the Faculty of Graduate and Postdoctoral Studies in recognition of the important role of postdocs within the faculty. Today, the PDFO has increased its engagement. Orientation sessions are offered three times each year for new postdocs and professional development training has expanded to include offerings in personal and professional effectiveness, career building, leadership, and academic growth. Sessions range from project management and leadership to immigration and taxation, as well as a signature cross-campus networking event. The PDFO also adjudicates quarterly PDF Travel Awards and the UBC internal competition for the prestigious Banting Postdoctoral Fellowships Program, and oversees the annual Killam Postdoctoral Fellow Research Prize competition. 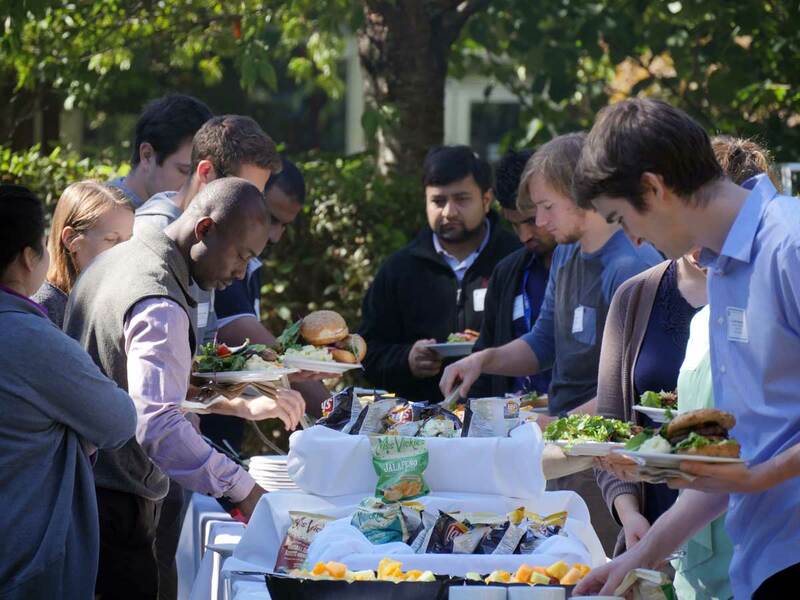 In addition to supporting postdocs professionally, the PDFO celebrates National Postdoc Appreciation Week each September with an annual barbecue to recognize the valuable contributions made by postdocs throughout the year. The annual barbecue features a prize draw with donations from a variety of on- and off-campus donors, with donors for the 2017 barbecue including UBC Extended Learning, UBC Opera, the UBC School of Music, UBC Theatre and Film, Sea to Sky Gondola, the Vancouver Trolley Company, and the Vancouver International Film Festival. Some of UBC’s over 850 postdocs enjoy the 2017 National Postdoc Appreciation Week BBQ. Photo credit Melinda Johnston. The PDFO continues to work closely with the UBC Postdoctoral Association (PDA), a postdoc-led group dedicated to enhancing the postdoc experience at UBC through professional and social events. Next up for the PDA is their annual Research Day, scheduled for Monday, December 4 and featuring keynote speaker Dr. Lori Brotto (Professor, Department of Obstetrics and Gynaecology and Canada Research Chair in Women’s Sexual Health). In January 2018, the PDFO will launch Foundations of Career Planning, a three-part workshop program designed to equip postdocs with the foundations needed to structure a personal development plan, put together a professional portfolio, and navigate the interview and negotiation process. 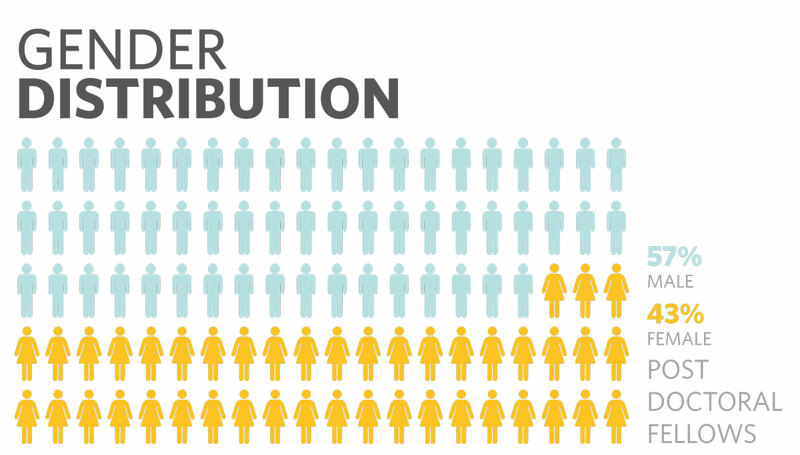 Of the over 850 postdoctoral fellows currently at UBC, 57% are male and 43% are female. Approximately 46% come from North America, 23% from Asia, and another 21% from Europe. 3% of current postdocs are from South America, and another 2% each from Africa and Australia. 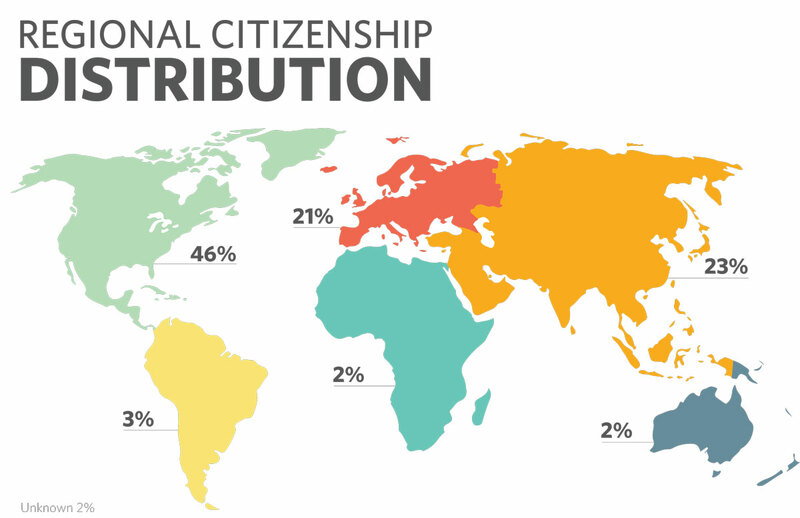 Approximately 37% of all postdocs have Canadian citizenship, while 61% of the postdoc community is international. A majority of the postdoctoral fellows at UBC are concentrated in the faculties of Medicine and Science, with Medicine housing 35% of all postdocs and Science housing another 32%. UBC Okanagan is home to 3% of all postdocs currently appointed through UBC. UBC’s postdoctoral fellows bring a wide array of expertise to the university community. In 2017, the PDFO started the Postdoc Profile Project to highlight the work of UBC’s postdocs. This searchable database allows postdoctoral fellows to create a profile detailing their research interests, methodologies, and a description of their current postdoctoral work. Since its launch in September 2017, over 180 postdocs have created profiles. In addition to raising the profile of UBC and its research activities through exemplary world-class research, UBC’s Postdoctoral Fellows bring millions of dollars in funding to the university each year. A snapshot of the funding held by postdoctoral fellows in October 2017 shows that UBC’s postdoctoral fellows currently hold salary support, research allowances, and travel awards from a wide variety of granting agencies worldwide including the Canadian tri-agencies (CIHR, NSERC, and SSHRC), Canadian Institute for Advanced Research, European Commission, Michael Smith Foundation for Health Research, Mitacs, the Killam Trusts, National Institutes of Health, the United States Department of Defense, and Australia’s National Health and Medical Research Council. In 2016-2017, ten Postdoctoral Fellows were awarded prestigious Banting Postdoctoral Fellowships, representing 14% of the total Banting Fellowships adjudicated for the year. Read about UBC’s Banting Postdoctoral Fellows and their innovative research on the PDFO website. For news about the Postdoctoral Fellows Office, visit www.postdocs.ubc.ca or contact postdoctoral.fellows@ubc.ca.